Pop Celeb Hobbies: You’ll be Surprised! One day you’re in the garden shed, perfecting your latest riff and gigging in the local park, the next you’re in CBGB’s (we’ve decided it’s the ‘80s). We know it wasn’t always as easy or as quick as that for our favorite bands and musicians, though that whole transformation is fascinating. But what remains, what part of a star musician’s life stays the same after fame? It’s nice to know that famous guitarists and singers have hobbies, that they get down to some crafting, perhaps, or some cooking when the tour is over, the album finished. Some stars find their passion as a result of becoming famous, and use their free time to take the edge off celebrity life. So what do the some of the most creative people out there do to wind down? It shouldn’t be surprising that famous people have to eat like the rest of us, but sometimes it comes as a surprise how into cooking food the big names in music are. Beyoncé’s recipe for green bean Cajun stir fry looks great. You could say that the role of chef and famous musician have a lot in common. You can be the star of your particular profession, but you have to put the work in early on. Creativity is key, but so is stamina. It’s often the more low-key, less wild music celebs who show up as good chefs. Jazz and pop pianist Jaimie Cullum is one of these guys quietly dedicated to his art, and to eating breakfast off his piano. Another devotee of the culinary arts is singer Kelis, who has recently finished training to be a chef at the Cordon Bleu cookery school and has started to collaborate with chef duo Le Bun on a pop-up restaurant in London’s Soho. Her mother ran a catering business when Kelis was young, and she’s obviously got the talent for food. She admits that she “loves colors in food” and will be drawing on Asian and Latin-American flavors for this venture. The New Yorker has even written a cookbook, titled My Life on a Plate, while she’s also behind Bounty & Full, a range of organic sauces that features exotic recipes like pineapple saffron glaze and wild cherry BBQ sauce. 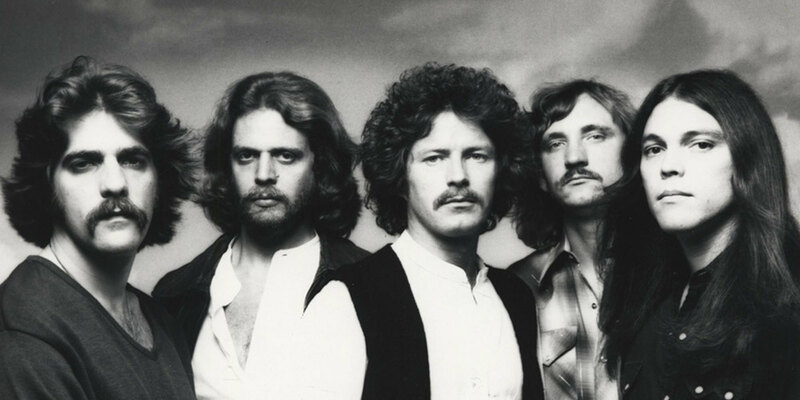 There are stories about how ‘70s rock band The Eagles loved poker so much that they invented their own variation, which they named “Eagle Poker.” Apparently they would stay up all night with Linda Ronstadt and Joni Mitchell and play. The game continued to be the glue that kept the band and their roadies together all through that decade, as they loved playing poker between shows while touring. Poker as a hobby works for bands, it seems. It can provide some thrills in quiet times, it builds community and definitely helps to diffuse tension for band members who are together 24/7. A few different styles of poker were played over the band’s career; Don Henley brought Texas Hold’em into the mix, then only beginning to be popular. Hold’em requires you to make up a hand from two of your own cards and a series of shared cards during three rounds. Another unexpected poker fanatic is rapper Nelly, who has appeared at several poker tournaments and made it quite far. He is a self-confessed “gut” player, and plays purely for the thrill of being at the tables. This hobby might seem calmer than a spending hours at smoky poker tables in the ‘70s, but painting and the visual arts has always attracted the wildest and most iconoclastic musicians. When you think about how many famous bands began in art schools, most notably David Bowie and Kanye West, it’s no surprise that multi-talented music celebrities turn to their second love to blow off some steam. Famous mid-century Jazz trumpeter Miles Davis learned painting while living in New York in the 80’s. Unlike David Bowie, who you could say used his own image as a hobby, Davis transferred his creative impulse from playing to painting when his health worsened later in life. He learned from his then neighbor and girlfriend Jo Gelbard, later exhibiting and using his own work on album covers. While Davis’ need to paint was driven by creativity and a need to find an outlet, M.I.A has made art all her life, hopping from one medium to another. She had success early on, selling graffiti canvases to Jude Law after her graduation from London’s iconic Central Saint Martin’s art school. She creates the concepts for her videos, her own album and promotional artwork and remains very much an artist who is also a musician. It’s comforting, isn’t it, that no matter how successful everyone’s favorite musicians are, that they are also just people? Having a hobby to enjoy at the weekend, or in their case at the Hamptons, is part of life. So, when you see Kelis signing up to Cordon Bleu, or M.I.A making gifs for artistic expression, maybe it’s a good reason to get out there yourself. You never know, you could end up pulling off the same feat they did as musicians. Or you could have a great time making matchstick models of the Eiffel Tower. Either is good!